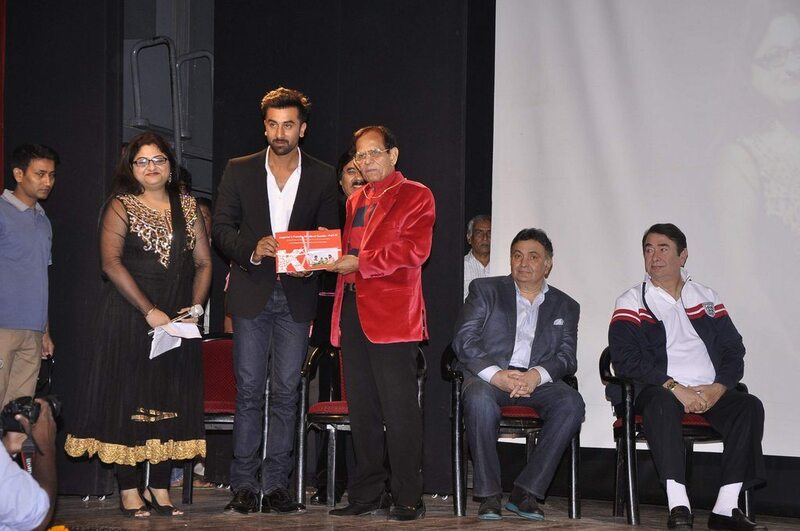 Kapoor clan’s Ranbir Kapoor and Rishi Kapoor at RK Medical guide launch event. 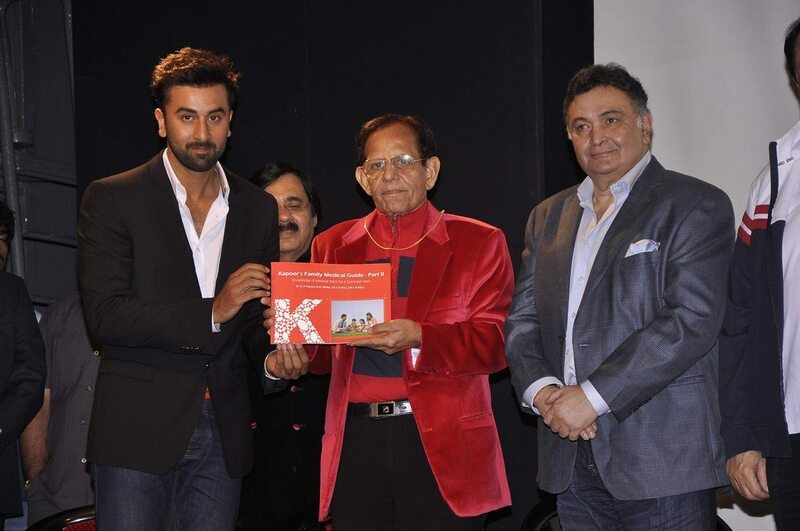 Bollywood’s most illustrious family – The Kapoor’s – attended the launch event of the R.K Medical Guide held in Mumbai on August 10, 2014. 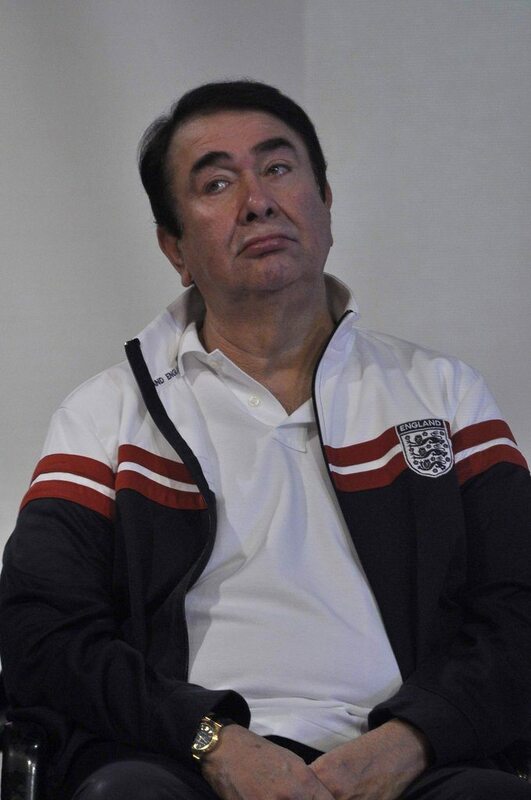 The young Kapoor scion Ranbir Kapoor was present, along with father and veteran actor Rishi Kapoor and uncle Randhir Kapoor. 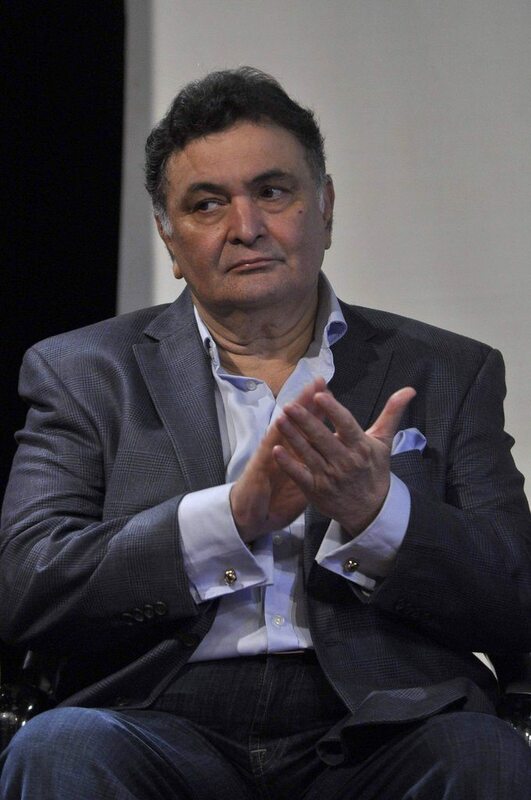 The family is more popularly known as the Kapoor khaandan and have left an indelible mark on the history of Indian cinema. Ever since the great Phithviraj Kapoor made his debut in the showbizz during the early 1900’s, each and every member has contributed to Indian cinema’s rich heritage. 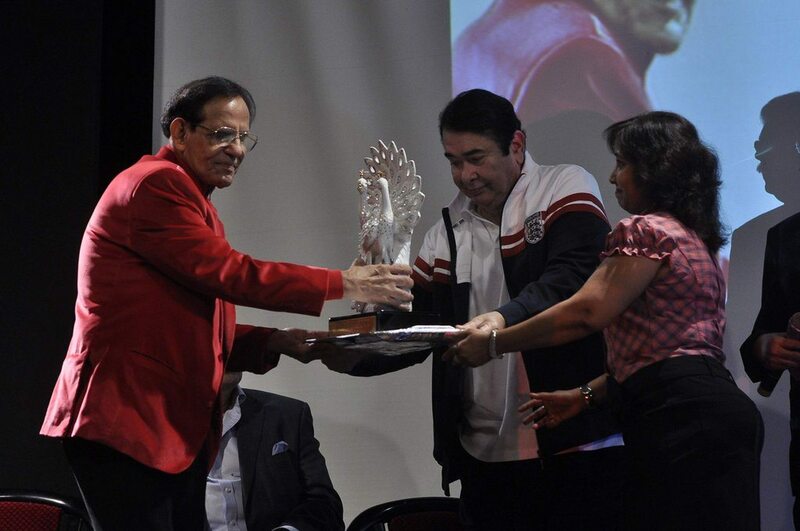 The launch event was also attended by late actor Shammi Kapoor’s son Aditya Kapoor and second wife Neela Devi. Other celebrities who were seated amongst the audience included, daughter of the Kapoor family, Reema Jain, whose young son Armaan Jain recently made his Bollywood debut in ‘Lekar Hum Deewana Dil’ opposite Deeksha Seth.